AC Kaput? 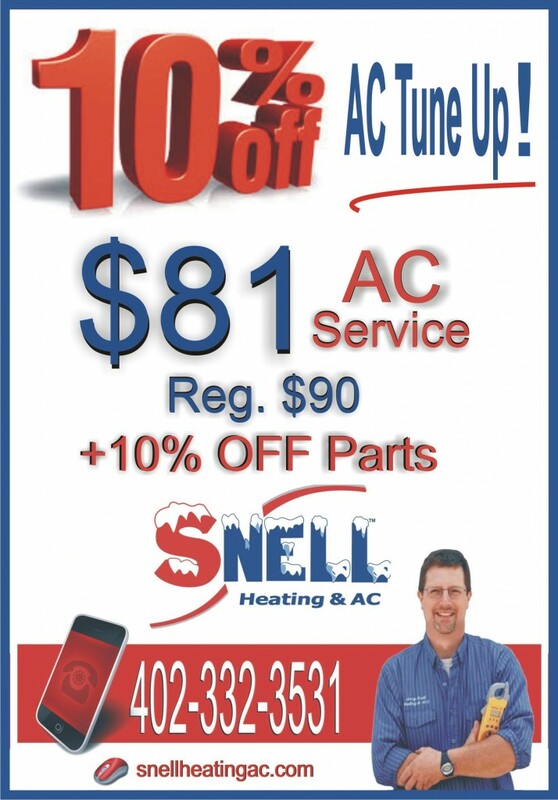 Call Snell for AC Service Omaha! Overheating this summer and need air conditioning service Omaha? Call Snell Heating and AC™ for all your home and office HVAC needs! Founded in 1998, Snell Heating & AC™ stands by its motto – Service to the Highest Degree! Snell offers affordable Omaha air conditioning service to the metro. 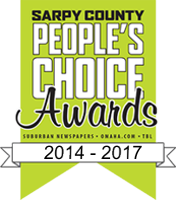 Our customers value our small town attitude, workmanship and top quality AC service and AC repairs Omaha. Snell Heating and AC™ offers HVAC air conditioning Omaha services that our customers appreciate. Don’t just take our word for it! For 16 years, we’ve earned a reputation for top quality HVAC Omaha product/services, achieving an A+ BBB rating. Our cool comfort systems meet or exceed government efficiency standards. We’re your one stop shop for Omaha air conditioning service. Options that are Right for You! We don’t sell you what you don’t need. 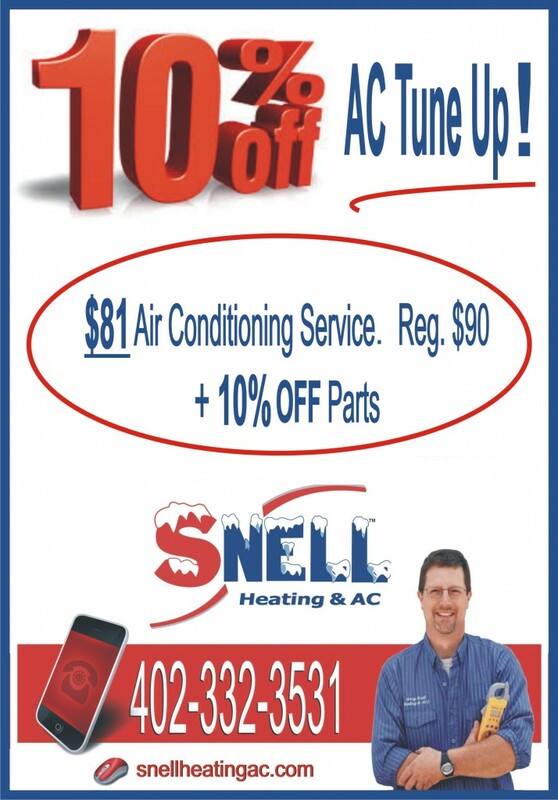 Here at Snell Heating & AC™, we will help you decide if you need a new air conditioning unit or simply a repair. Worried about Nebraska’s scorching summer temps? Our air conditioners remove excess humidity from the air and are rust-resistant. Rest assured, the new air conditioner unit you buy from us lasts through the seasons with a warranty. Are you sweating up a storm due to a potentially failing AC unit? Don’t spend the summer uncomfortable. Call Snell Heating and AC now for air conditioning service Omaha! AC Tune Up Spring Special – HVAC Company Omaha Neb. By Susan Stern — On April 2, 2014, we did a cost & annual service comparison of the major Omaha HVAC companies for both AC Spring Maintenance services and annual service agreements. The results show that Snell Heating and Air Conditioning™ provides much more for the price for heating and cooling Omaha Neb work. Plus, in terms of an AC tune up, Snell Heating & Air Conditioning™ offers a bargain. Our regular service price is $90. 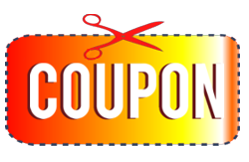 But during Spring 2014, enjoy a 10% discount off the regular service price, with 10% off parts, if they are required. Now that’s exceptional pricing for heating and cooling Omaha Neb. services. All in all, as the above graph shows, Snell Heating and Air™ offers more services for less for both AC tune ups and the Annual Customer Care Agreement. You’ll get a lot for your dollar from our Heating and Cooling Omaha Neb company. We don’t upsell and then inflate prices like others often do. We do a thorough examination and service of your furnace, AC and humidifier. Call Snell Heating & AC™ Omaha HVAC. A+ BBB Rating. Family-owned. Not a franchise. Schedule an AC Tune Up now. Customer service top priority! Spring Time for Omaha AC Check Up! For affordable AC repairs Omaha, contact Snell Heating and Air™. “Just like a car tune-up improves gas mileage, a bi-annual check up of your cooling system can improve efficiency and comfort,” said Jerry Snell, owner of Snell Heating and Air Conditioning™ Omaha. During your air conditioning system check up, we may recommend you replace your Omaha HVAC equipment if the equipment is 10+ years old and not keeping your house cool. We, a professional Omaha HVAC contractor, will give you an honest assessment of what needs to be done. If your AC needs replacing, we’ll give you a free quote, too. Installation and service are our specialty. We’ve achieved an A+ BBB Rating for a reason, we believe. 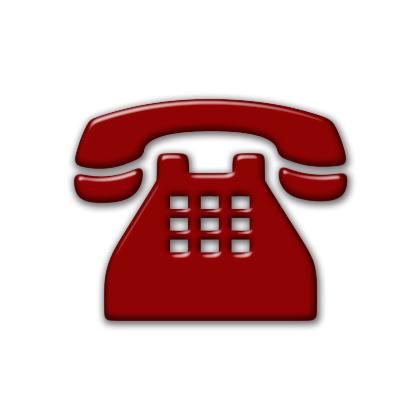 We treat each customer as a top priority. 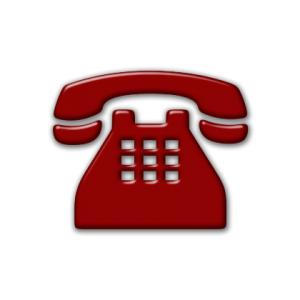 You’ll receive personalized service from us. Co-owner Rita Snell handles the customer service calls. Husband Jerry and crew do the Omaha heating and cooling work. We stand by our motto: Snell Heating & AC. Service to the Highest Degree! Call us now to schedule affordable AC Services Omaha Neb.